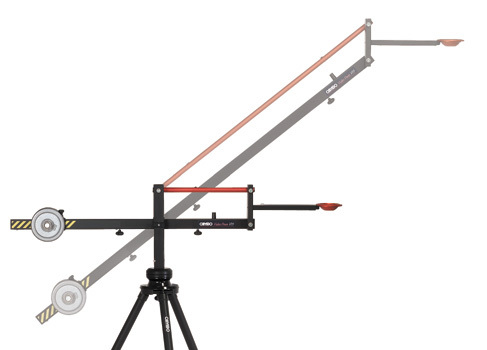 The V15 is a rugged, lightweight jib. Though it accepts camera weights in excess of 18Kg (40lbs). It was designed for the weight conscious videographer. 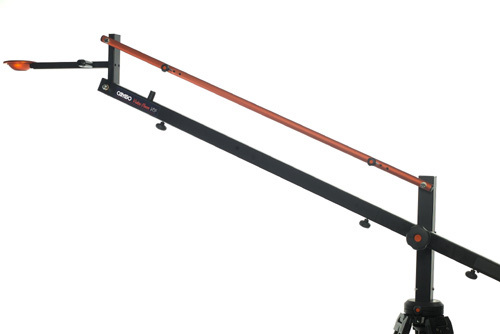 The basic unit weighs only 8.2Kg (18lbs) and has a reach of 170cm (67") fully extended. 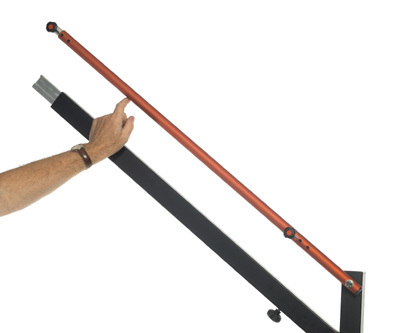 It assembles and breaks down in seconds to a compact case (94cm (37") long. There is no other video boom like it! - Easy setup, no screws or little pieces to assemble. - Male/female parts provide tight tolerance for the most secure fit. 100mm bowl arm for camera levelling detachable for easy storage. Mountable to a standard video tripod - 75mm (3") and 100mm (4"). An ultra-smooth pan base features a locking facility. Central lock for quick set up and stability for fixed height shots. 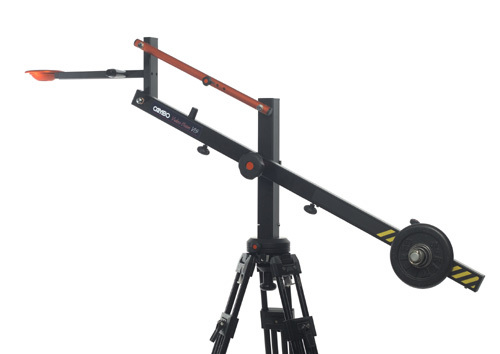 Adjustable counterweight system ensures a stable camera platform and quickly adjusts for different camera weights and positions (Weights not included).